Dawlance is the technology leader in Pakistan’s home-appliances market. It is a fully owned subsidiary of Arcelik – the largest Turkish enterprise. Dawlance is now offering a fabulous 23% discount on its entire range of innovative refrigerators, to join the consumers in celebrating the ‘Pakistan Resolution Day’ on 23rd March. 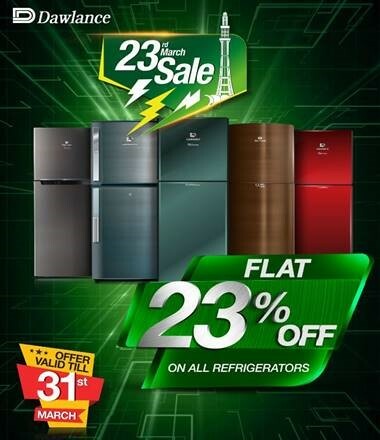 So the shoppers can now avail a flat 23% discount on all refrigerators till 31st of March 2019, anywhere in Pakistan. All these reliable and feature-rich refrigerators from Dawlance conserve more than 35% electricity and come with a 12 years warranty. These masterpieces of refrigeration technology have been designed after extensive research and development processes, involving deeper insights into the evolving needs of the consumers. Known for its unmatched reliability and superb quality, this prestigious brand continues to grow, with its sales multiplying rapidly, all over the country. 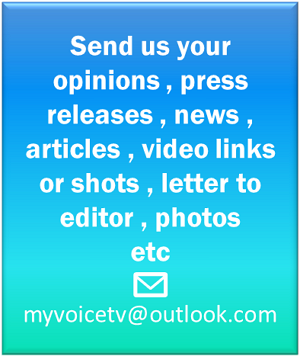 With the arrival of the hot summer season in Pakistan, the need for powerful refrigerators increases all over Pakistan. Hence, this big discount offer has been launched at just the right time of the year, with a vision to provide a refrigerator for every home.The most advanced technologies and the R600A refrigerant in these products reduce the energy expenses for every household. Dawlance has also established the largest dealership and technical network all over Pakistan to ensure prompt after sales-services. Going beyond the consumers’ expectations, this leading brand has once again succeeded in creating extraordinary product-benefits, experiences and designs that match the latest trends in kitchen and home interiors.